The 11st KIPS International Conference on Ubiquitous Information Technologies and Applications (CUTE 2016) will be held on Dec. 19 - 21, 2016, Bangkok, Thailand. The purpose of the CUTE 2016 is to promote discussion and interaction among academics, researchers and professionals in the field of ubiquitous computing technologies. 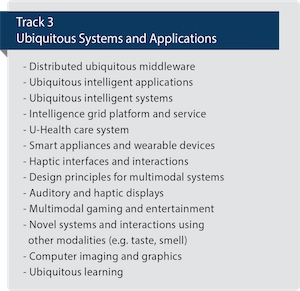 Ubiquitous computing will require a new approach to fitting technology to our lives. The advent of new computing devices, and the seamless connectivity between these devices, thanks to diverse wired and wireless networks, are enabling new opportunities for a user to perform his/her operation all the time and everywhere. 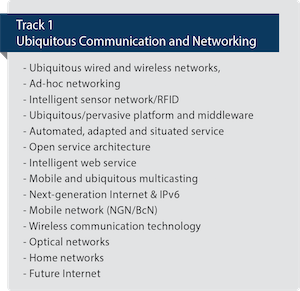 These seamlessly connected devices are ranging from mobile handset to wearable computers. Also, it is expected that these devices will become so pervasive that they will be embedded in the surrounding physical environment, and transparent and invisible to a user. 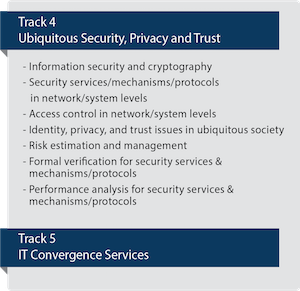 Such devices, whether carried on by people or embedded into other systems, will constitute a global internetworking infrastructure and likely to provide a new level of openness and dynamics. 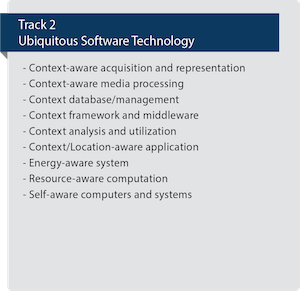 Ubiquitous computing has as its goal the enhancing computer use by pushing computational services out of conventional desktop interfaces into physical environments, but effectively making them transparent forms and calm mode of interactivity. Recent advances in electronic and computer technologies have paved the way for the proliferation of ubiquitous computing and innovative applications that incorporate these technologies. This conference provides an international forum for the presentation and showcase of recent advances on various aspects of ubiquitous computing. It will reflect the state-of-the-art of the computational methods, involving theory, algorithm, numerical simulation, error and uncertainty analysis and/or novel application of new processing techniques in engineering, science, and other disciplines related to ubiquitous computing. In this conference, several topics on the specific themes for intensive discussions are also planned according to the areas of interest.